Emojis are everywhere, on messages, Facebook, Twitter, you name it and they are present, there’s no escape. Due my age I remember something similar in the good ol’ skool days of acid house – but that’s another story – before the Internet moved things on at lightspeed. Having said that there is still one place and one audience that has yet to see the prolific emoji – the humble carp at the bottom of your water. We carp anglers are always looking for that baiting edge over our neighbours whether that be a bespoke boilie, a pungent powder or a glorious glug. Or perhaps something visual, but not your average coloured plastic in various shapes and sizes – how about an emoji pop-up. Put a smile on your pop-up, give the carp a surprise, but they won’t be laughing all the way to the bank as you haul them in. If you don’t fancy a smile there are numerous emojis to choose from to reflect how the session is going! 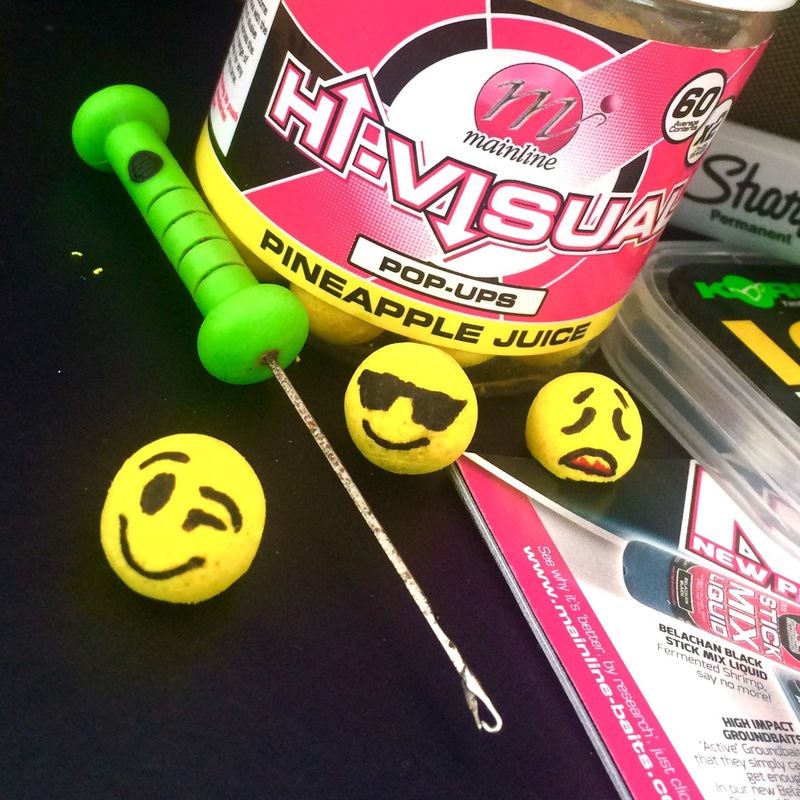 I’m going to suggest Mainline supply a set of marker pens with their pineapple pop-ups. Better still, l’ll take the idea to the bank!